Day 8 of the Sound Dreaming CD Concert Countdown. Today I want to talk more about my CD piece “Sounding Dream Woman” which I introduced at the end of Day 7’s post. Sounding Dream Woman is the name I’ve given to one of the amazing archeological finds in the Hypogeum in Malta – a small figurine of a woman in a reclining position propping up her head with her hand. She is known widely as the Sleeping Lady, but if you’re wondering why I’ve renamed her, for myself anyway, or who she is, check out the Day 7 post. The recordings for the Sounding Dream Woman piece were done during my return visit to Malta in 2007. I had been invited by Peter B Lloyd to present recordings I had made at the temples during my first visit in 2004 at a conference he was organizing called “Metageum 07: Exploring the Megalithic Mind”. It was an extensive gathering of archeologists, writers, musicians, philosophers, academics, dream researchers, healers, geomancers, sacred site guides and explorers–a full interdisciplinary gathering with some of the top names in the field in attendance. The overall theme was to explore the consciousness of the Neolithic shamans who built and used the megalithic temples of Malta. One of my contributions to the conference was a concert presentation of some of the pieces I had composed up to that point from my earlier recordings. It was suggested to me by a friend that I might inquire about the possibility of offering workshops in the Hypogeum as part of the conference. Peter immediately agreed to that, and as it turned out, I ended up giving 4 workshops during the conference noon-hour slots. Due to preservation concerns, attendance is limited in the Hypogeum to 10 people at a time, thus requiring so many workshops. Following the conference, I gave an additional two workshops to primarily Maltese residents. 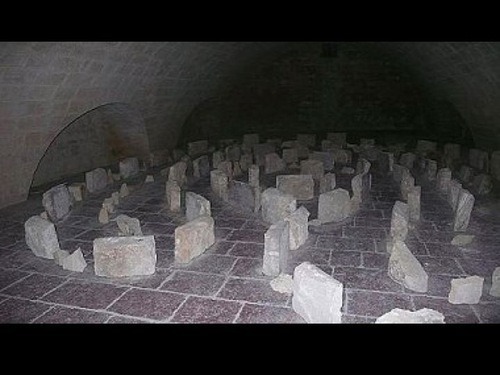 So all in all, I had the rare opportunity to spend quite a bit of focused time in the Hypogeum being present with the ancestral spirits and experimenting with the vibrational resonances of the place. I structured the workshops as a sounding ritual that I guided the participants through in homage to the original purpose of this powerful resonating chamber–a place for dreaming and awakening a different state of consciousness through sound vibration. I spoke about this in Day 3’s post. During these group rituals, I invoked the presence of Sounding Dream Woman through both a spoken text and a vocal improvisation that the group joined in on. 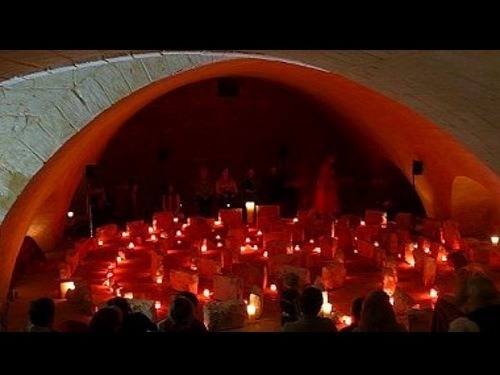 Along with all this extra time which enabled me to explore more deeply the nature of the ‘Sounding Dream Woman in the workshops and rituals, I also was granted my own personal recording time in the space, thanks to Heritage Malta. Combined, these experiences form the basis of the recordings used in the composition of my piece. This piece in particular highlights multiple layers of voices, many of which consist of different acoustic qualities. This was accomplished through the use of a variety of recording techniques and the placing of the microphone in different locations. The next step in the composing process was to mix the multiple layers into surround sound. That means that instead of the sound coming out of just two speakers – left and right channels that we are used to– the sound instead comes from 5 separate speakers. This is similar to how we experience sound at the movie theatre – with 3 speakers at the front (Left, Center, Right), and 2 at the back (Rear Left, Rear Right). The advantage of using this type of mixing process in the Sounding Dream Woman piece for example, is that I could create the sense of the multiple niches and rooms of the Hypogeum, as well as the unique acoustic qualities of each of these places. The layered voices create an environment of multiple accompanying voices, and provide a support for the main solo voice – that of the Sounding Dream Woman. I also want to make special mention of Marlon Briffa, who I first met when he worked as a guide for the Hypogeum during my visit in 2004. When you listen to the piece, you’ll hear a very low and deeply resonant voice as one of the layers. That’s Marlon’s voice. He also contributed greatly to my understanding of the place, and we created magic together during some of our improvisations. Today’s photos are related to the performance I gave as part of the Metageum conference. I had asked Peter Lloyd to create a labyrinth for a sound installation I was planning to create there. Although that didn’t fully materialize, in part because the sound would interfere with the rest of the conference, the labyrinth became a gathering hub for the conference, with nightly drum jams occurring there. It was also the site of where I gave my own “Sounding Dream Woman” performance, walking in the labyrinth as I sounded along with recorded tracks playing back amongst 8 speakers. The first image is just of the labyrinth, and the second is of the performance. I’m the shadowy standing figure on the right towards the back of the image.